“Velda: An American Fairy Tale” by R.S. Hems is the story of Velda, a middle-aged woman searching for her own version of happily ever after, in spite of just about everything. The story begins with Sahlee, an old Chinese fortuneteller, who tells 7-year-old Velda to accept her fate, even if it wasn’t very good. Velda looks to her mother for support, but the old soothsayer only confirmed what Dora Wu already knew to be true – that her third child would never amount to anything. This is an intensely emotional tale built around not only the typical mother-daughter generational conflicts, but also two different cultures and beliefs. Velda is subjected to overwhelming obstacles, namely from her mother, who does everything possible to keep Velda oppressed. The character development in this novel is superb. I loved watching Velda come into her own, in all areas of her life, especially for her age. The story sends such an encouraging message to women to never give up – it’s never too late to find happiness, try something new, or fulfill your dreams. Velda’s mother drove me absolutely crazy – I wanted to shake her, slap some sense into her – anything to make her see some reason or entertain some sense of rational thought. When a character yields such power over my emotions, whether I like them or not – that, to me, is a great character, and this story is full of great characters! 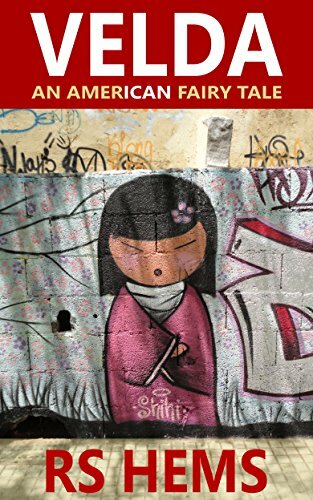 Overall, I found “Velda: An American Fairy Tale” by R.S. Hems to be thoroughly entertaining, exhibiting lots of drama, within the family, the workplace, and all other areas of Velda’s life, including her romantic relationships. There are plenty of twists in the plot to keep the reader guessing, ranting, and raving throughout. I love that the ending is not quite what you’d expect and it gave me pause to reflect on the story for several days after I finished reading. Well done.